Dortyol refugee camp near the town of Berde, Agdam region. The Agdam region is on the border of the Nagorno Karabakh enclave, controlled by Armenia since 1994, and claimed by Azerbaijan. In spite of a cease fire brokered in 1994 skirmishes between Azeris and Armenians are an almost daily occurrence. 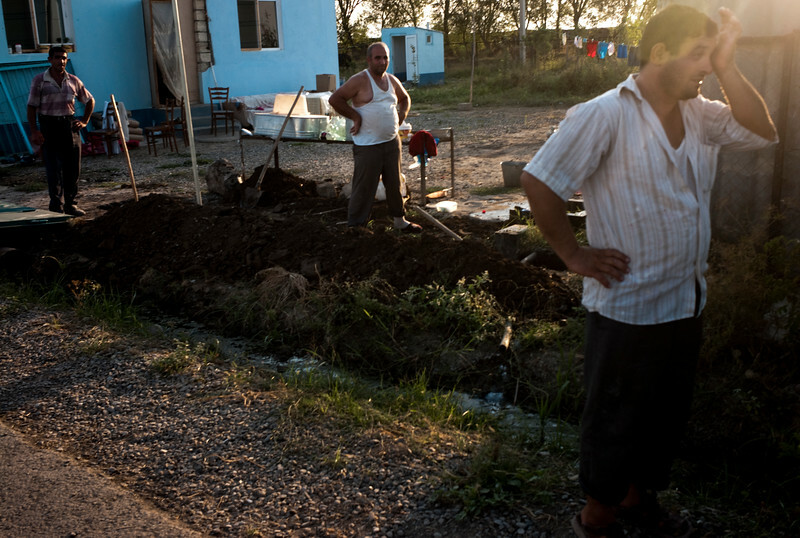 Thousands of Azeri refugees fled Nagorno Karabakh and have lived in refugee camps for nearly 20 years. These used to be corrugated iron huts until 2008 when the Azeri government, awash with oil money from the Baku Tbilisi Ceyhan pipeline (BTC), built new large homes for many of the families. Although this has considerably increased their daily comfort it has also conveyed an air of permanence to their refugee status.